If you want to travel effortlessly and without any confusing, anywhere in the world, you should use these travel apps. Here you can see 14 best international travel apps for iPhone, iPad and other iOS devices. 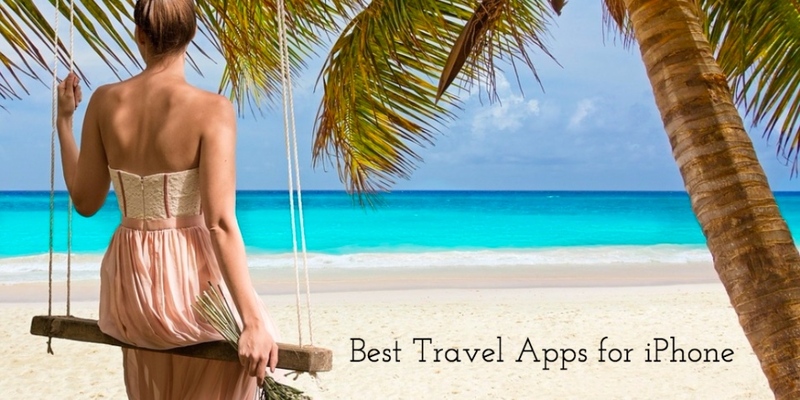 With the help of these best travel apps, you can find all the information you need in the palm of your hand and, you can also save your money and time. 1. 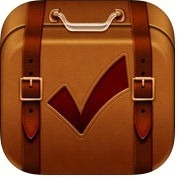 Packing Pro ( iPhone + iPad ) :- Packing Pro is one of the best and advanced international travel apps for iPhone and iPad. With the help of Packing Pro app, you can create unlimited customizable packing lists, you can build lists quickly and easily with multi-item selection, you can sort items by priority, type or item or by hand, you can discover new ideas and suggestions from included sample lists, you can edit item details, you can see remaining items as badges on home page and app icon and, you can email your packing lists to family and friends.Packing Pro app has lots of amazing and unique features such as full iCloud support, share lists & catalog content through email, Dropbox, iCloud Drive, AirDrop and Box, expert list assistant, huge master catalog-more than 400 new items, including extra items for kids, babies, pets, sports and, much more. 2. 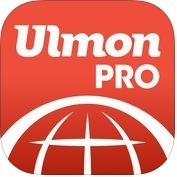 CityMaps2Go Pro Trip Planner ( iPhone + iPad + iMessage ) :- With the help of CityMaps2Go Pro Trip Planner app, you can search amazing places, save and organize them in lists and share them with your friends, you can plan trips and create lists where you want to visit, you can save data roaming charges in foreign cities, you can search a specific place by name or browse by categories such as restaurants, architecture, hotels, shops, bars, etc. CityMaps2Go app has lots of user-friendly features such as works online or offline, worldwide coverage- over 150 countries, 60000 destinations, and 50 million places, up-to-date information, detailed maps like navigate streets, foot paths, and bikeways wherever you are, backup and sync. 3. 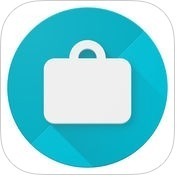 Google Trips – Travel planner ( iPhone + iPad ) :- If you want to see your flight, hotel, rental car, and restaurant bookings in one place without having to search for them individually, you can install Google Trips-Travel planner app on your iPhone and iPad. With the help of Google Trips app, you can get popular day plans organized on a map that you can customize based on your interests and available time and, you can also organize your day plans, things to do, food and drink suggestions, and more. 4. 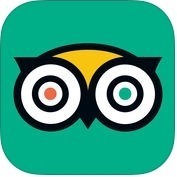 TripAdvisor Hotels Restaurants ( iPhone + iPad ) :- Are you looking for one of the best international travel apps for your iPhone or iPad? If yes, you can install TripAdvisor app on your iPhone and iPad. With the help of TripAdvisor app, you can easily find the lowest airfare, best hotels, popular restaurants and fun things to do, wherever you go, you can browse millions of reviews, opinions and candid photos by travelers, you can explore restaurants and reserve tables online, you can compare airfares and find great deals, you can add your own reviews and photos, you can download maps, reviews and saves for more than 300 cities worldwide onto your iPhone for free and, you can also avoid using expensive data roaming plans while you travel. 5. 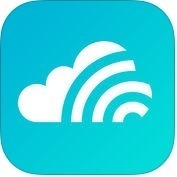 Skyscanner Flights Hotels Cars ( iPhone + iPad ) :- With the help of Skyscanner app, you can easily find and compare the cheapest days and months to fly with color-coded calendar and chart view on your iPhone and iPad, you can find the best deals in seconds, you can get notified of any price changes for flights with automatic price alerts, you can earn frequent flier miles by booking, you can tailor your trip, you can compare great hotel deals from more than thousands of hotels, resorts or apartments and, you can also search best car rental companies in seconds. 6. 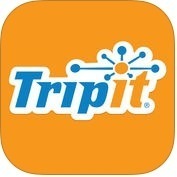 TripIt: Travel Organizer ( iPhone + iPad + iMessage + Apple Watch ) :- If you want to organize all your travel plans in one place, you can use Triplt-Travel Organizer app on your iPhone, iPad and other iOS devices. With the help of Triplt app, you can access your travel plans anytime, anywhere, you can import travel plans from your gmail, Google Apps and other, you can easily share specific plans or your entire itinerary, with anyone and, you can also get flight alerts, seat tracking, alternate flight finder, fare refund notifications, point tracking and, much more. 7. HotelTonight ( iPhone + iPad ) :- Do you want to find a great deal at a great hotel easily anytime, anywhere? 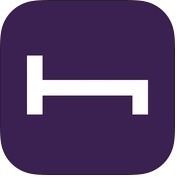 If yes, you can use HotelTonight app on your iPhone and iPad. With the help of HotelTonight app, you can book last minute hotel deals up to a week in advance, you can deal top rated hotels, you can search by city, attractions, nearby hotels or on a map, you can reviews, ratings and photos from fellow bookers and, you can also add Favorite hotels and see whenever they are available. 8. 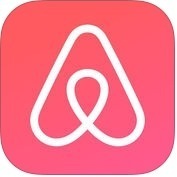 Airbnb ( iPhone + iPad + Apple Watch + iMessage ) :- If you want to make your trips unforgettable, you can use Airbnb app on your iPhone, iPad, Apple Watch and other iOS. With the help of Airbnb app, you can find adventures in farway places or your hometown or places around the world, you can choose from more than 4 million homes across over 191 countries, you can find the city's best restaurants, bars and secret spots, you can book homes and experiences for your next solo journey, family vacation or business trip, you can save your favorite homes, you can reserve tables at popular restaurants, ahead of time or on the spot and, you can add experiences and events to your itineray. 9. 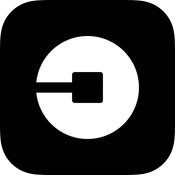 Uber ( iPhone + iPad + Apple Watch ) :- Uber is one of the best and most popular international travel apps for iPhone, iPad and Apple Watch. It is a ridesharing app for fast, authentic travels in minutes day or night. This travel app is available in over 500 cities worldwide. 10. Guides by Lonely Planet ( iPhone ) :- With the help of Guides by Lonely Planet app, you can explore city guides curated by experts, you can navigate with easy-to-use offline maps on your iPhone, you can get into and around the city with transport info, you can save places with simple bookmarking, you can find the perfect activity with powerful filtering and, you can also travel confidently with essential tips. 11. 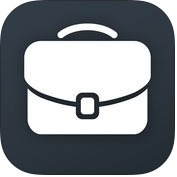 TripCase ( iPhone + iPad + iMessage + Apple Watch ) :- If you want to organize all of your trip details and travel plans into one streamlined itineary, you can use TripCase app on your iPhone, iPad, Apple Watch and other iOS. With the help of TripCase app, you can manage flight itinearies, reservation rental car and, book hotels, you can share your trip with others, you can view flight information & receive notifications if anything changes, you can locate your seat on the plane or check out what's available with real time seat maps, you can search alternate flights when you need to make adjustments and, you can also quickly access directions or request rental car to get to your next destination. 12. 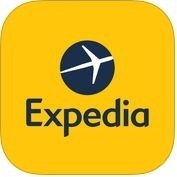 Expedia Hotels, Flights, Deals ( iPhone + iPad ) :- Expedia is a perfect and helpful travel app for iPhone and iPad users. With the help of Expedia app, you can save on hotels, you can find the perfect flight or discover things to do and, you can also get helpful trip reminders right when you need them. This travel app has lots of advance features such as more than a million flights, hotels, rental cars, packages, attractions etc, great deals on tours, shows, theme parks and other attractions, easy reservations for airport shuttles and ground transportation, helpful alerts for flight delays, gate changes and, much more. 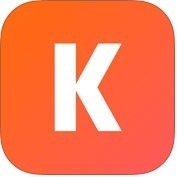 With the help of KAYAK app, you can organize all your travel plans in one place, you can find great deals on flights, hotels and rental cars, you can effortlessly and securely book through this app without the need to re-enter your traveler data and credit card information, you can pick a destination and choose flexible dates to find out when it's best to fly, you can share search results, hotels,flights and more using iMessage, you can up-to-date with real-time flight status, gate change and baggage claim notifications, you can view your itinerary and airport maps without internet connection, you can keep your travel plans right on your wrist and, you can also easily track friends and family with their flight number or the airline. 14. Waze Navigation & Live Traffic ( iPhone + iPad ) :- Waze is one of the best and real-time navigation apps for iPhone and iPad users. 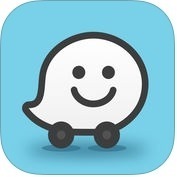 With the help of Waze Navigation & Live Traffic app, you can get the fastest routes to your favorite locations and new destinations, you can get police and speed camera alerts while you drive, you can record your own custom voice directions to guide you on the road and, you can also find gas stations and the cheapest gas prices on your drive. Waze Navigation app works anywhere in the world.